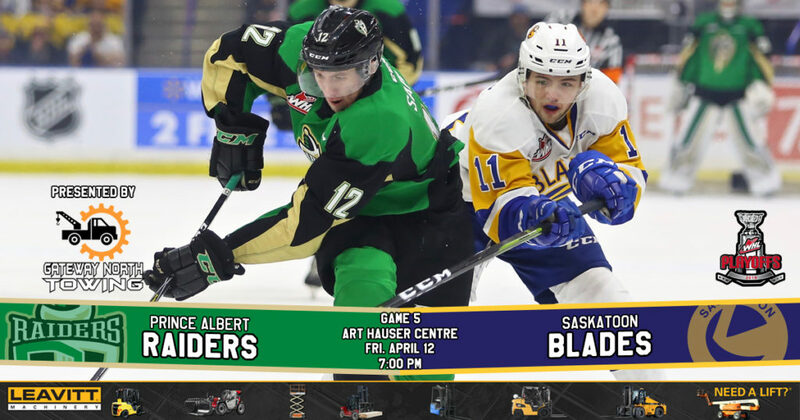 RAIDER REVIEW: The series returns to the Art Hauser Centre tonight as the Raiders host the Blades in Game 5. 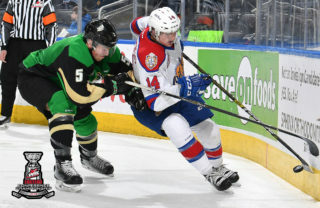 On Wednesday night in Game 4, the Raiders jumped out to an early lead, but fell 4-1 to the Blades at SaskTel Centre. Dante Hannoun scored the Raiders’ only goal of the game midway through the first period. Max Gerlach led the offensive charge for the Blades with a goal and two assists. Ian Scott made 34 saves in the loss for the Raiders. Nolan Maier turned aside 43 shots for Saskatoon. VS. SASKATOON: The best-of-seven series is tied 2-2. 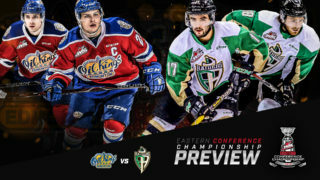 The Raiders won the season series against the Blades with a record of 6-2-0-0, including winning the first two games of the series on home ice. SHORTHANDED STRIKE: Dante Hannoun’s first-period goal was his second shorthanded goal of the 2019 WHL Playoffs. The overager is tied for the league lead in shorthanded goals this post-season with James Hamblin of the Medicine Hat Tigers. 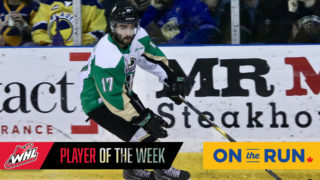 Hannoun has two goals and an assist this series, bringing his total in the playoffs to four goals and four assists to lead the team. The Raiders are tied for the league lead in shorthanded goals in the post-season. 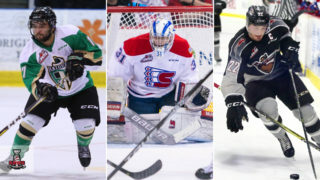 The Medicine Hat Tigers and Vancouver Giants also have two in the 2019 WHL Playoffs. 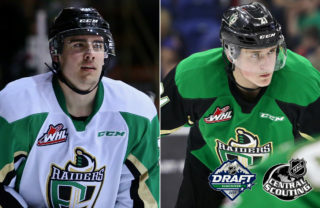 SCORING FIRST: The Raiders scored first for the fifth time in eight games in the 2019 WHL Playoffs on Tuesday night. However, it was the first time in the post-season the Raiders lost after striking first. During the 2018-19 regular season, the Raiders posted a 44-3-1-1 record when scoring first and a 36-2-0-0 mark when leading after the first. 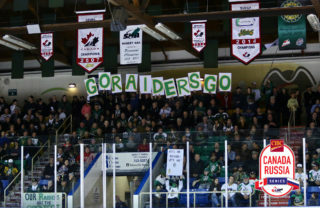 BACK AT HOME: The Raiders have been able to find the back of the net in the comforts of the Art Hauser Centre through the 2019 WHL Playoffs, averaging 4.5 goals per game in Prince Albert over four games. SCHOLASTIC PLAYER: Rookie Jakob Brook was named the Eastern Conference Scholastic Player of the Year on Thursday afternoon. Brook had an outstanding academic year in his first year in the WHL, maintaining a 92 percent average in his Grade 11 year. The Roblin, MB product had six goals and six assists during the regular season. NEXT UP: The series heads back to Saskatoon on Sunday afternoon for Game 6. Puck drop is 4 p.m. If necessary, Game 7 will be played at the Art Hauser Centre on Tuesday night. Game time is 7 p.m.